I can't believe Halloween is almost here. I can't wait! This is what my family and I worked on this year. 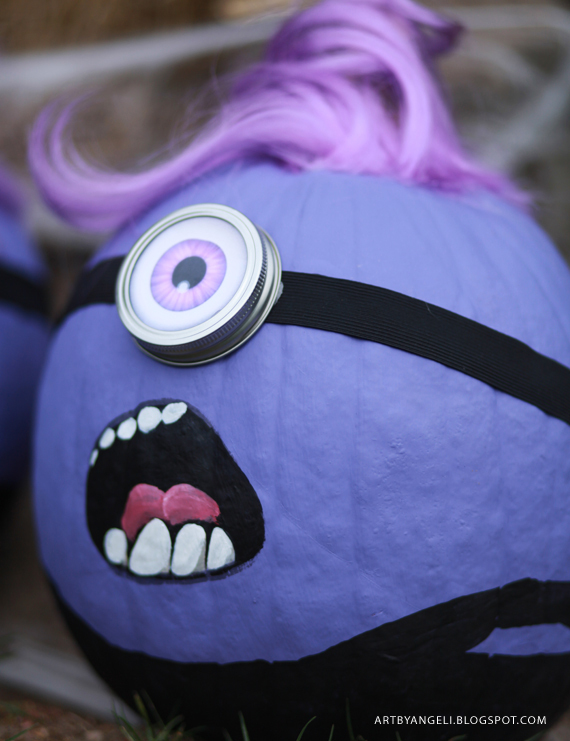 Purple Minions were very difficult recreate the hair. It was everywhere in our house. 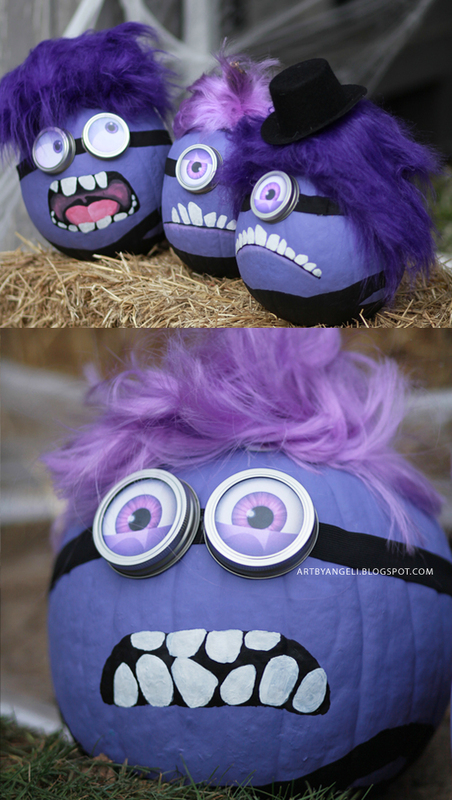 If you do plan to make this, I recommend you have a vacuum in hand. Enjoy! 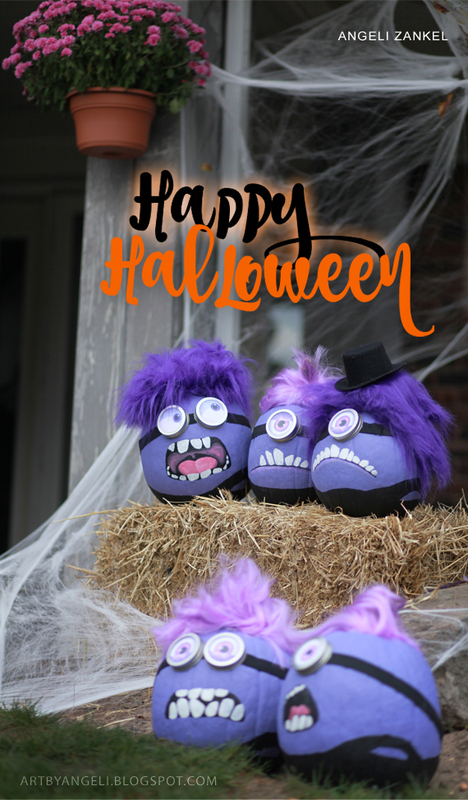 and Have a very happy and safe Halloween! I'm an artist and a little of everything else. This blog was created to share my passion for the arts. I hope you enjoy all my little projects and free illustrations. Copyright © 2009 artbyangeli. All rights reserved.. Simple theme. Powered by Blogger.